The big kids at home are wishing they have a longer Christmas vacation so we could use the following tickets for fun rides. My daughter has been very busy with completion of her thesis that’s why she doesn’t enjoy the school break. There’s so much to see at Enchanted Kingdom according to the kids who were able to visit the theme park during their field trip. I wouldn’t be surprised to hear flatwound string instruments at EK just like the ones we hear at Star City. 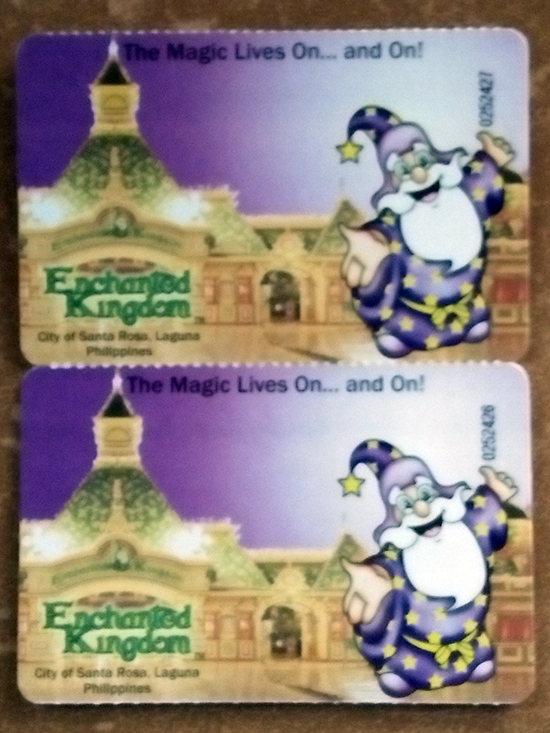 This entry was posted in Family, Outdoor Activity, Parks, Places to visit, Themepark and tagged Enchanted Kingdom, free tickets, fun rides, star city on January 5, 2016 by Yami.